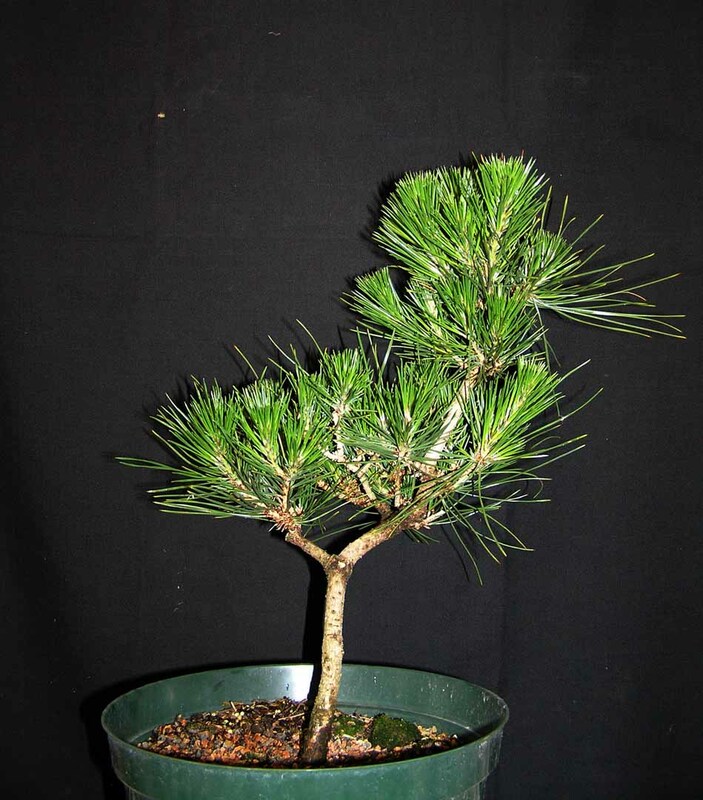 Our April meeting will be a workshop creating a literati bonsai utilizing Japanese Black Pine. We have secured 25 trees for this event. The cost of the trees is $4. (This is one of the benefits of club membership – the ability to buy in quantity and pass on the savings to our members.) We also have ten 10” mica pots at a cost of $16 each. These are drum style pots that are about two or three inches deep. One of the great unknowns in ordering trees mail-order is the unknown size of the root mass. However, if I were to guess, these probably wont be able to be potted immediately into the shallow drum pots. Therefore, if you are doing the workshop it would be prudent to bring a deeper pot that would accommodate a deeper root system. I think a pot depth of 6-8 inches would be OK. As the tree will not remain in that pot forever, any pot will suffice, even terra cotta flower pots. We ask that you purchase the drum pot so the club is not holding excess inventory. The club will provide soil, wire, and raffia. You provide your tools, pot screen, and pot. Those members who heard Tim O speak about literati style at the February meeting already know this, but for those who missed his discussion, here is a short synopsis: Literati bonsai have very little foliage, most – if not all – confined to the top of the tree. Unlike most other styles where trunk taper is important, literati bonsai frequently have a uniform trunk diameter for most of the height. This is what makes seedlings appropriate material to use. Visual interest is created by a twisty trunk. To create these twists and turns, we will wrap the trunk with wet raffia. The raffia acts like an ace-bandage and keeps the cambium from separating from the deeper wood when the trunk is bent. After the application of the raffia, the trunk is wired. Because pine is quite flexible, you will be able to introduce some major bends into the trunk. Remember that the copper wire is to be on the outside of any bend. There are two reasons for this. First the copper acts like a splint and keeps the wood from splitting (this is especially true if you have not used any raffia). Secondly, it is the stretching of the copper that allows the bend to hold. 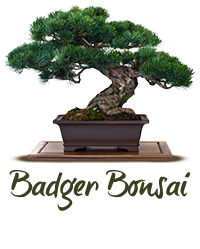 Literati bonsai are always in symmetrical pots – round, square, octagonal, hexagonal, etc. so avoid ovals and rectangles. And conifers should be in unglazed pots. The mica pots should be perfect – if not immediately, then in a year or two. 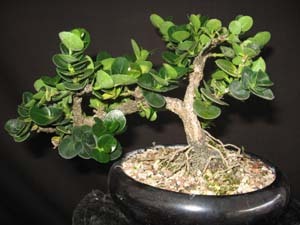 One of the problems for people newly interested in bonsai (and some old-timers as well) is a reluctance to cut and prune. There is a fear of cutting the wrong branch. I don’t think the literati workshop will use the entire meeting time. I have a number of Carissa cuttings that are now several years old, as well as some Kingsville boxwoods. These have not been styled or pruned in any way. I have merely allowed them to grow. I want to give these away at our May show to anyone who joins the club. I will bring these in and I want club members to style these. If they turn out beautiful – wonderful. If they turn out ugly – well, that’s OK too. You will have learned something in the process.